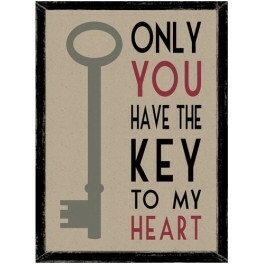 This small, stylish picture will look lovely in any style of home. 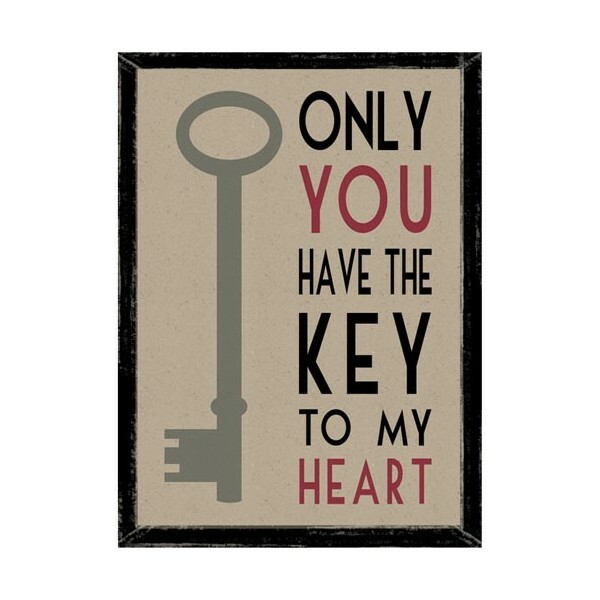 Reminiscent of an old poster, it has a graphic image of a key and the words 'Only you have the key to my heart'. The picture has a black, slightly distressed, frame.